Our technicians have more than thirty years of experience in the digital camera repair industry. We have provided our customers with a high level of satisfaction for our products and satisfaction. We require our services to be fast, so we ensure our repairs take no longer than 48 hours, and our products to be shipped within 24 hours of purchase. Our products are quality assured! They are shipped to our customers in brand-new condition! Most importantly, the cost for our products and services are set at reasonable prices! Our goal is to provide the best service for our customers and to achieve 100% satisfaction from all our customers. 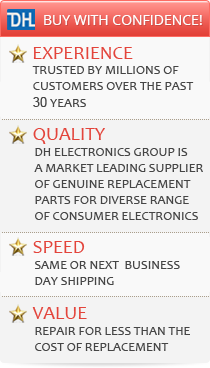 "DH Electronics Group ensures the best quality for our products and services. Our technicians have accumulated over 30 years of experience in repairs for cameras. Our goal is to provide the best service for our customers and to achieve 100% satisfaction from all our customers."